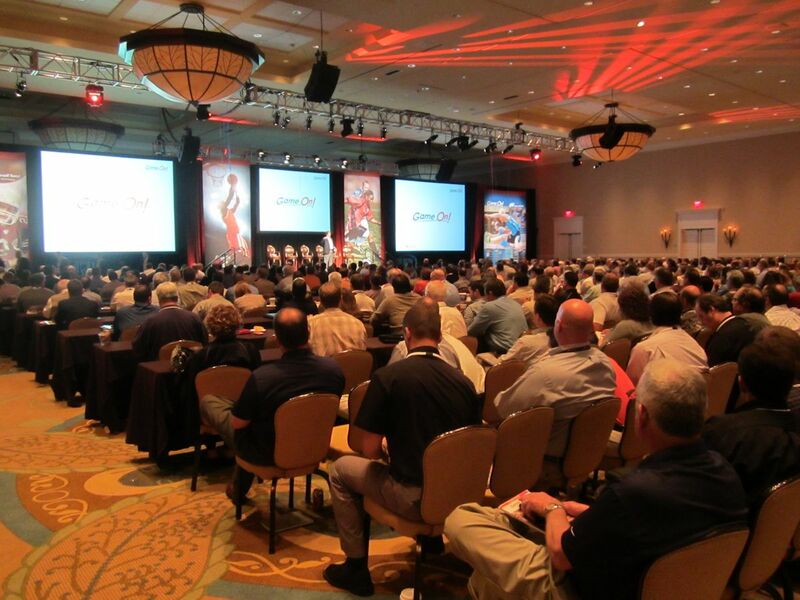 Do you have a sales meeting coming up? Don’t let it be just the run of the mill meeting. 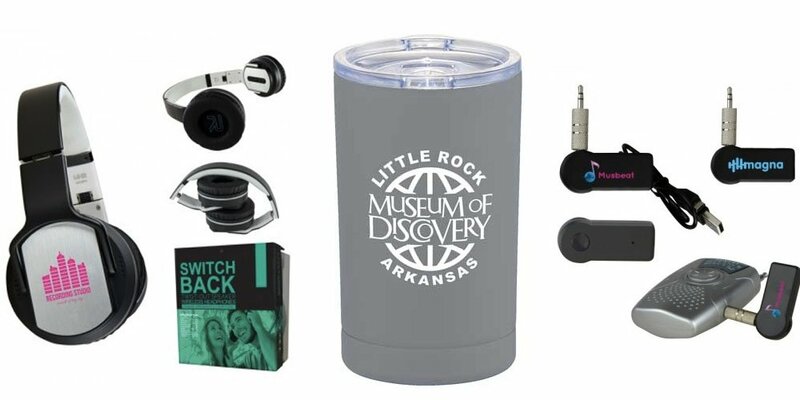 Instead, turn it into something that will allow your sales team to become acquainted with these new promotional items! 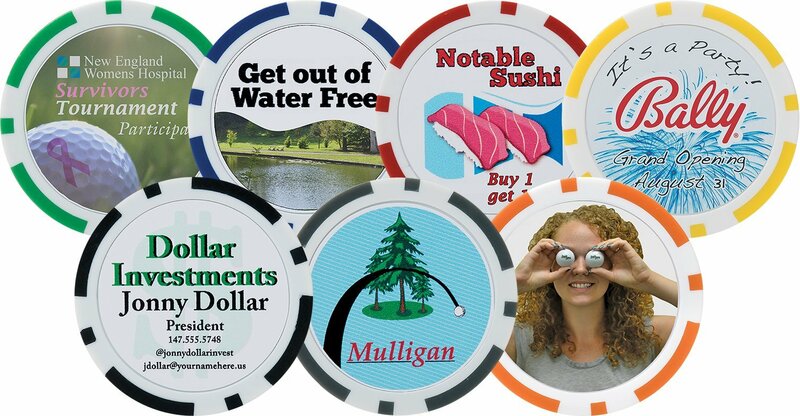 Poker Chip Ball Markers: Use these chips in a number of creative ways: Business cards, Mulligans, Drink or Food Vouchers, Invitations or Tournament Keepsakes, to name just a few. This Poker Chip Ball Marker is made of ABS plastic with a steel disc inside. Available in seven colors, the price includes the same logo printed in full color digital label on both sides of the poker chip. The Basic T-shirt – Port & Company PC61: Make your sales meeting the bomb! 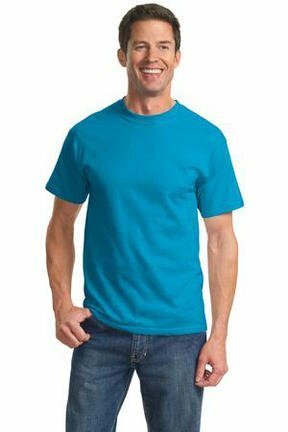 Provide your sales staff with cool logo t-shirts. This is our most popular shirt by far. It is a great option for those on a budget. This 6.1-ounce, 100% soft spun cotton shirt is priced affordably, but is not “cheap” in quality. It also comes in every color you could ever imagine to coordinate with your logo. Weekender Duffel – Solids: Everyone can find a use for a duffel, and it’s perfect in a sales meeting. They provide the ultimate carrier option for those always on the move. This duffel has two zippered front pockets for accessories, along with a padded handle wrap and adjustable non-slip shoulder strap. A mesh pocket also holds a water bottle. 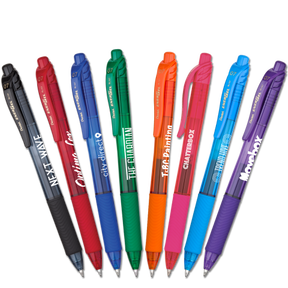 EnerGel-X Retractable Roller Gel Ink Pen (Medium): The future is smooth with high-performance ink technology that combines the best qualities of liquid and gel ink for a super-smooth writing experience. Corky Notebook: Want to always be prepared for those impromptu meetings? Don’t get stuck scrambling for something to write on again! 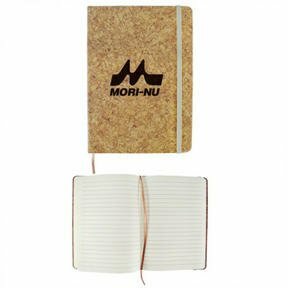 This Leather-like cork pattern notebook contains 80 sheets that will allow you to stay on top at any meeting. Ibuprofen: Having trouble concentrating because of the pounding headache? 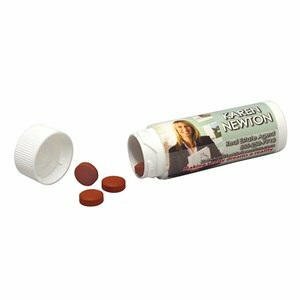 Make an impressive impact with our newest product offering: Ibuprofen! This pain reliever comes in a travel size container that’s both practical and easily reusable, with the pills containing the same active ingredient as national ibuprofen brands like Advil® and Motrin®. Help people remember you each time they reach for pain relief — and be the brand that’s always there in the time of need. 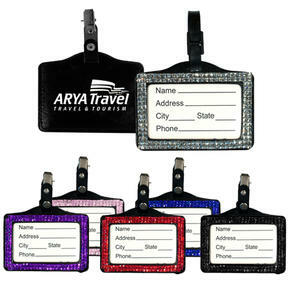 Bling ID Tag: There is nothing like trying to remember everyone’s’ names during a meeting. Under stress, it is easy to slip up even with familiar faces around the table. Remove the pressure of remembering everyone’s names or job titles – get ID Tags for the meeting! Give everyone a little help. Want to keep up all the time? Make sure to join our VIP List! Our VIP’s get an email with the latest content…and other special offers as well. Join here. 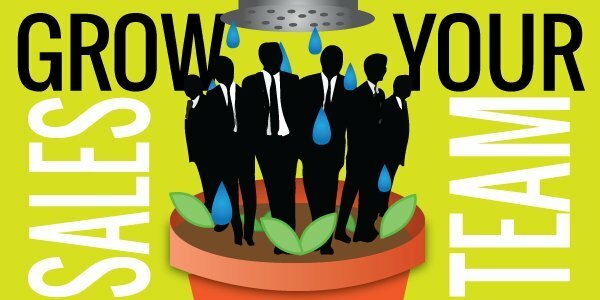 7 Products To Help You Rock A Sales Meeting!